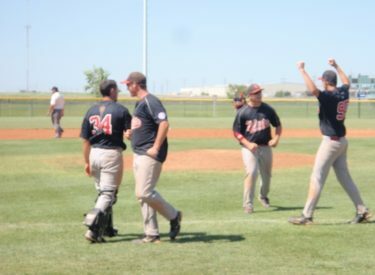 After a 17-6 loss to Liberal Saturday, Wellington streaked through the loser’s bracket to win the Senior Babe Ruth Kansas State title Monday 9-5 and 17-7 over Independence at the Liberal Baseball Complex. Wellington beat Finney County Saturday night before their 5-3 win over Liberal Sunday night. Monday, Wellington took advantage of six Indy errors in game one. In game two, Wellington erased a 7-6 Independence lead by scoring 10 in the sixth.